Caffè Monforte is pleased to welcome you at CIBUS Connect 2019 Parma, in Hall 6 at Stand B020, at Fiere di Parma Exhibition Area, in Parma, from April 10th to 11th 2019. 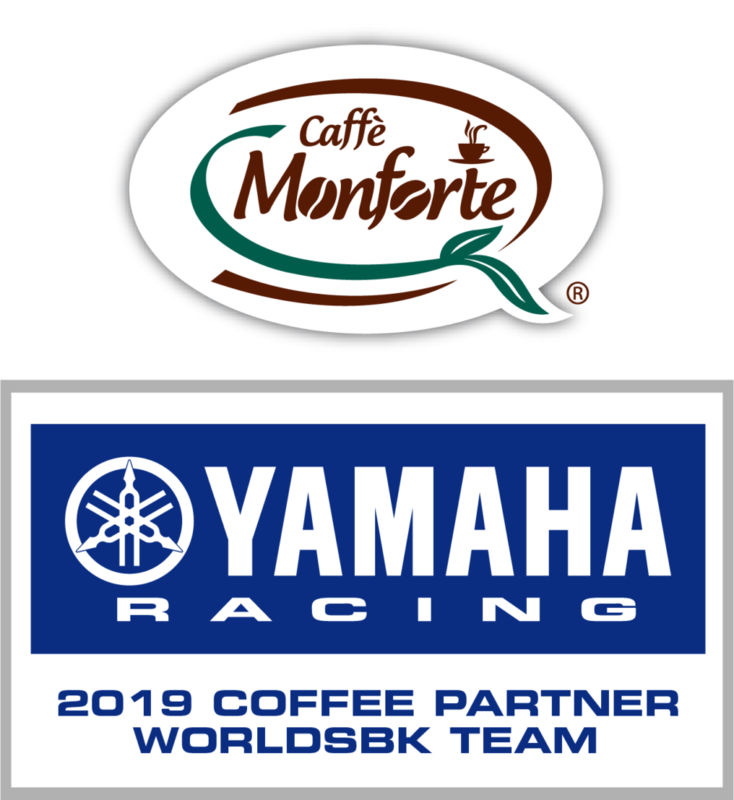 Caffè Monforte is proud to renew its support as Exclusive Coffee Partner to Pata Yamaha Team for World Superbike Championship 2019. 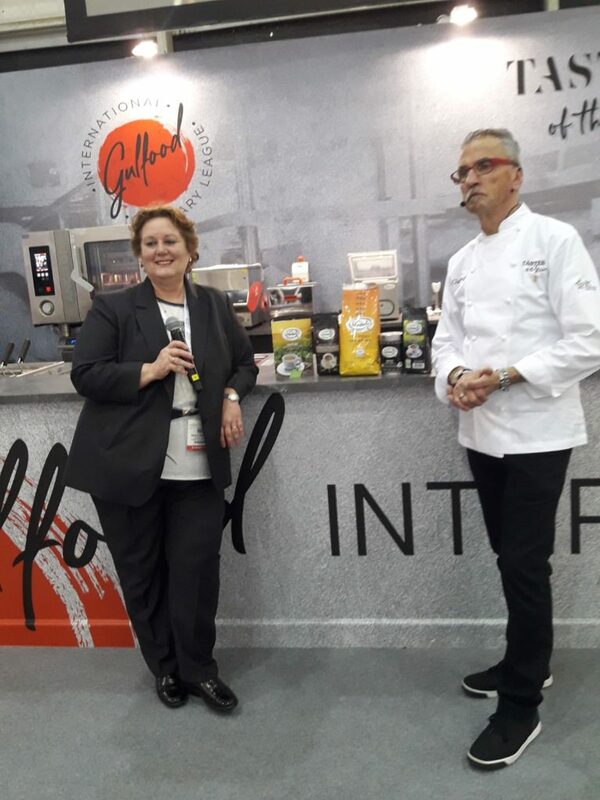 Let’s meet at GULFOOD 2019! We’re waiting to meeting you in Nuremberg at BIOFACH 2019 Organic Food Exhibition from 13-16 February 2019, in Hall 4, Stand 4-651. Innovative machineries guarantee quality products. Torrefazione Monforte makes the difference! Caffè Monforte vi aspetta allo Specialty Food Festival di Dubai, dal 30 Ottobre al 1 Novembre. Stand B 3 -15, nel Dubai World Trade Centre. We’re waiting for you at SIA Guest in Rimini from Ocorber 10th to 12th 2018, Hall D2, Stand 018- 051 CNA Breakfast Made in Italy. From left to right: the Italian Ambassador in Sweden Mario Cospito, ITA Sweden Director Corrado Cipollini, Paolo Pietromilli and Fabrizio Fiore of Fiere Italiane nel Mondo, Magda Katsoura Sole Administartor and Master Roaster at Torrefazione Monforte Srl. From left to right: Italian ambassador in Sweden Mario Cospito, ITA Sweden director Corrado Cipollini, Paolo Pietromilli and Fabrizio Fiore of Fiere Italiane nel Mondo , Magda Katsoura Sole Administrator and Master Roaster of Torrefazione Monforte Srl. We’re waiting for you in HALL D1, Stand 066-106! We’re waiting for you in PAD D1, Stand 066-106! Caffè Monforte is exhibiting this year too at SIA Guest Rimini 2017. We’re waiting for you in Breakfast Made in Italy area, in Hall 01, Stand 066-106. 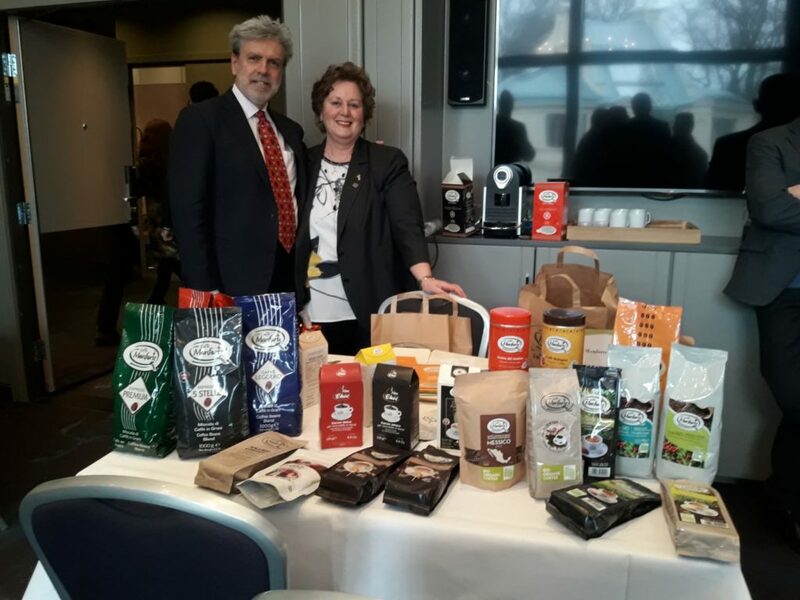 Caffè Monforte partner del progetto Breakfast Made in Italy del CNA Internazionale: “orgogliosi del grande successo ottenuto anche in questa edizione dello Specialty Food Festival di Dubai dalle miscele Caffè Monforte!”. 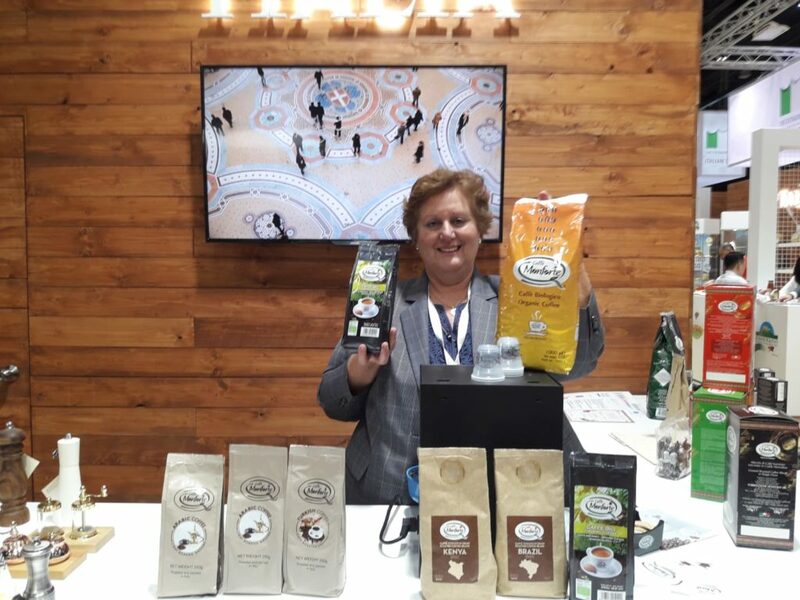 Caffè Monforte partner of CNA International Breakfast Made in Italy” project: “proud of the huge success registered this year too at the Specialty Food Festival in Dubai by Caffè Monforte coffee products!”. Come and visit our stand at Restaurant &Bar Hong Kong Exhibition 2017, from September 5th to September 7th. Caffè Monforte will be waiting for you at Stand 5E-A09. See you in Hong Kong! Mon – Fri 9a.m. – 6p.m.